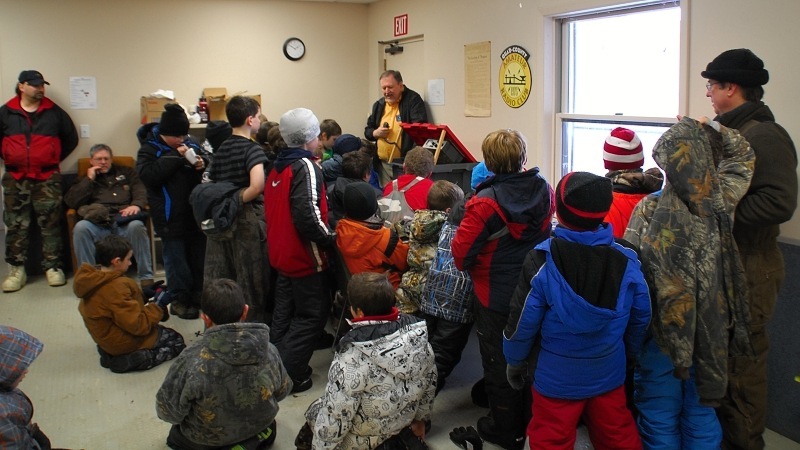 The winter air was filled with the happy shouting of nearly 400 Cub Scouts at Camp Mountain Run on Saturday, February 11th, as they gathered for their annual Klondike Derby. 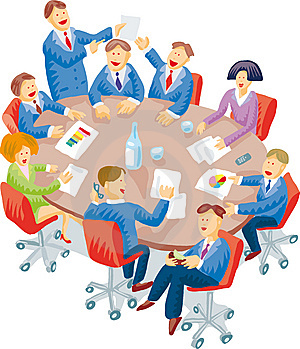 “It’s a great way for them to enjoy winter activities in the great outdoors,” explained District Director Carl Hall. 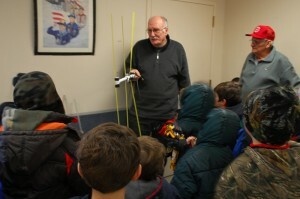 This year, there was a new activity that captured the interest of the Cub Scouts from the north-central Pennsylvania region served by the Bucktail Council. 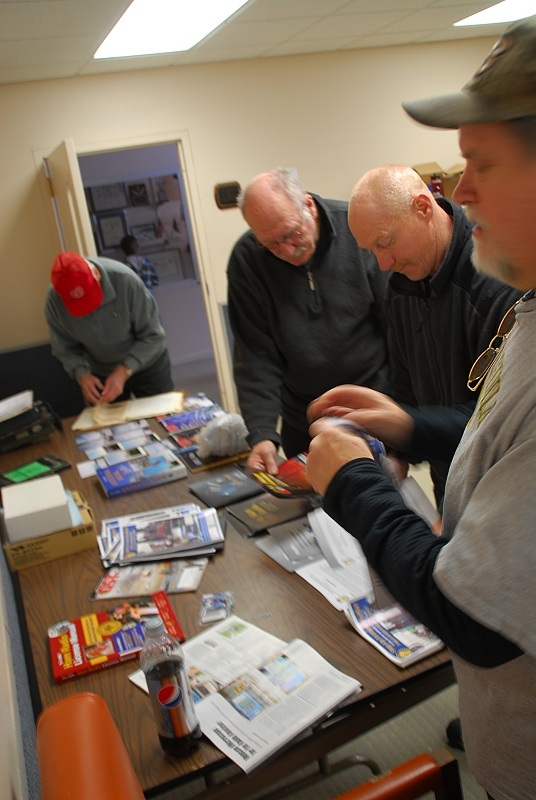 That activity was an Amateur Radio station and exhibit set up by members of the Quad-County Amateur Radio Club. 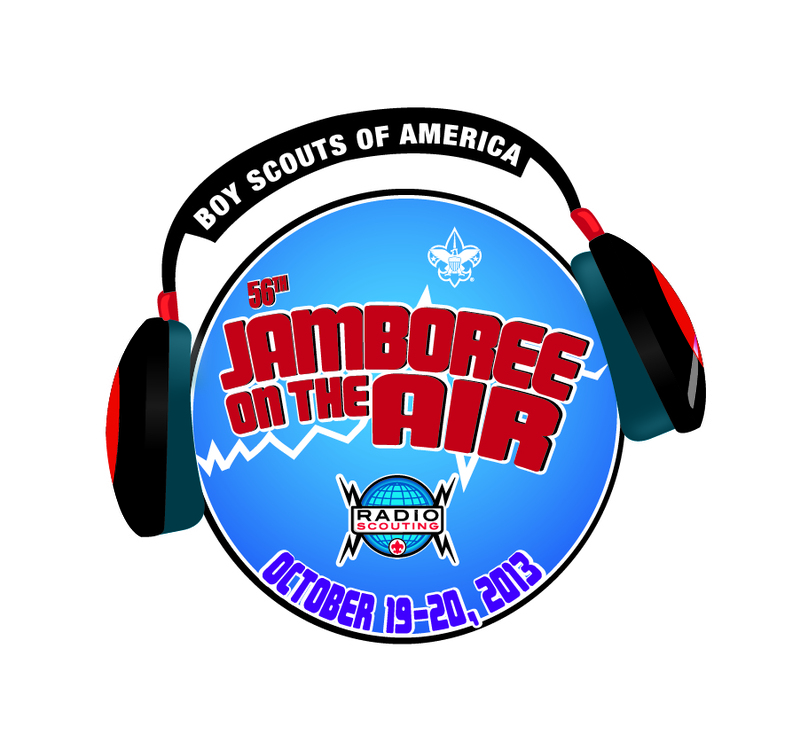 Nearly 400 Cub Scouts got on the air to experience Amateur Radio first hand, as Quad-County hams volunteered to help. Club President Joe Shupienis W3BC led the hams in greeting each 50-60 Scout unit as they entered the room. 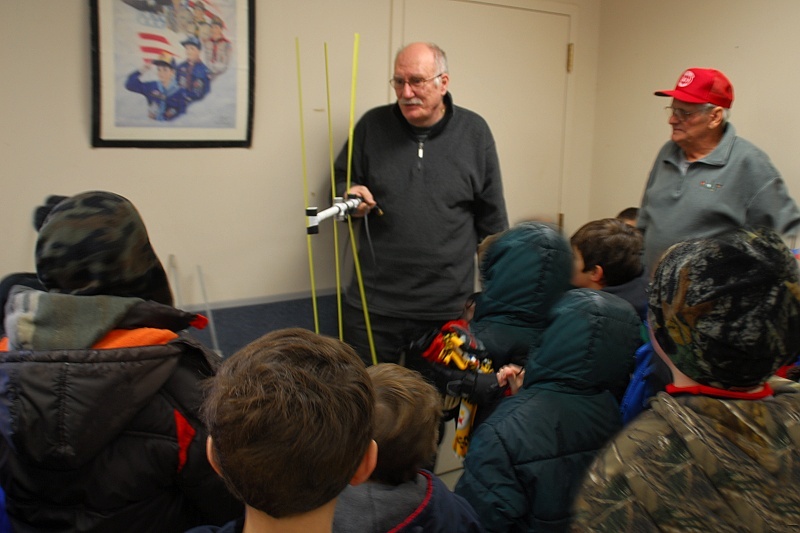 Quad-County members Don Jewell KB3LES and Lars Kvant KB3WBT/SM7FYW demonstrated VHF antennas they built, and answered questions from the Scouts and their parents. Jesse Tucker KG4ZXC and President Shupienis W3BC discussed how Amateur Radio is a lifelong activity which can lead to careers in engineering, science and technology. 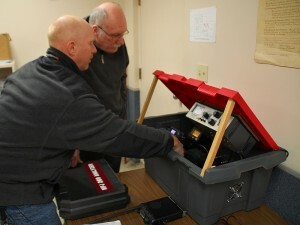 Club Member Kevin Hoynoski W3PIG showed the Scouts his “Go Box”–a portable amateur radio station in an easily carried container. 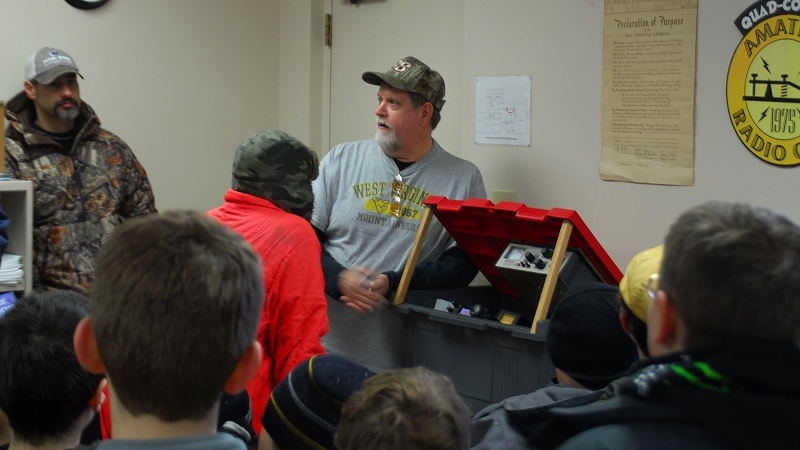 Next, the Go-Box was put into action on the Quad-County 147.315 repeater, and each and every Cub Scout got to speak on the air with Phil K3PJ at his home in Clymer. 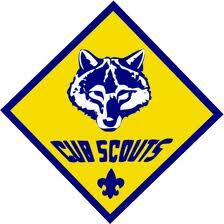 They learned from talking with him that he is a Scoutmaster for a unit in Indiana County. After putting 381 Cub Scouts on the air, both groups were very happy with the operation and look forward to working together again! Kevin demonstrates his Go Box as the Cub Scouts eagerly await their turn at the controls! Show and Tell. 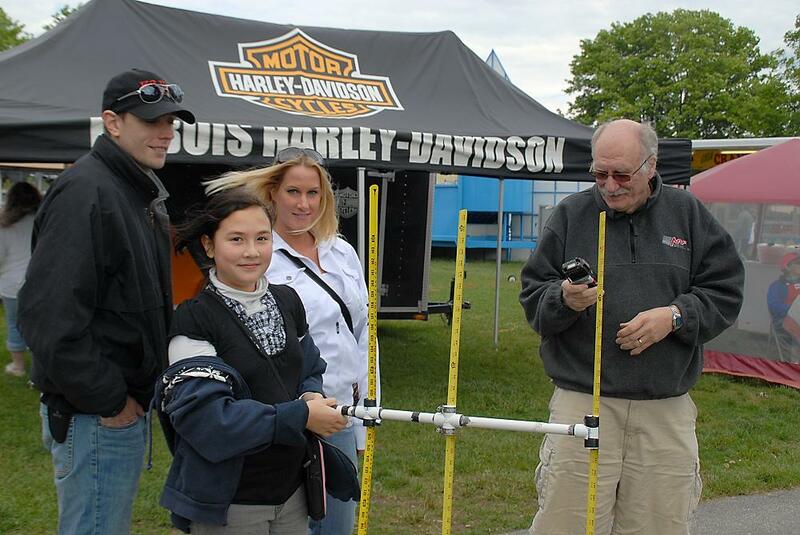 Lars and Don exhibit their antenna craftsmanship for the surprisingly interested Cub Scouts! Jesse and Club Technology Coordinator Lars ready the equipment for flawless operation before using it to put hundreds of Cub Scouts on the air! 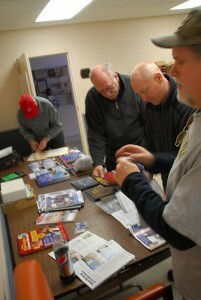 Don KB3LES, Lars KB3WBT, Jesse KG4ZXC and Kevin W3PIG prepare displays and handouts. Cub Scouts gather around the radio and await their turn to say "Hello" on the air!